Coming up with Family Home Evening lessons that are about deeper topics or in this case values can be tricky with little kids. I want to get my point across, but not take too much time doing it. I also like to try and simplify the topics as much as I can. 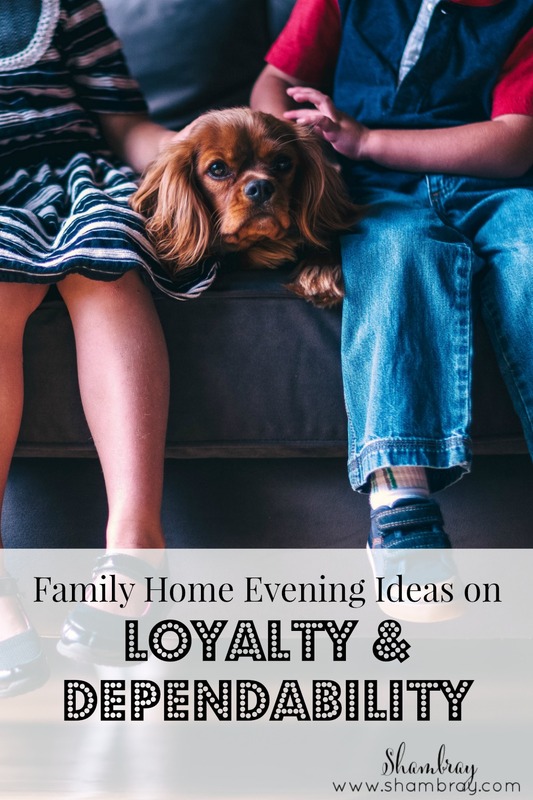 I found 5 great Family Home Evening ideas on loyalty and dependability. I plan to use the basic outline of all of these, but adjust it where I need to for my girls. I like the basic outline and the ideas with each of these lessons. 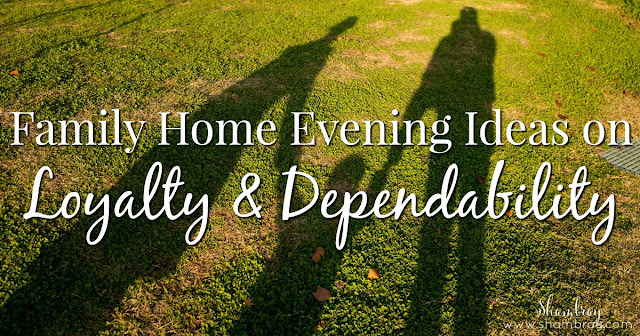 I didn't find a lot on dependability, but I found one specific to dependability. I like the ones that talk about being loyal to the lord, but I also like pointing out there are many ways to be loyal to all those around us. P.S. Ruth and Naomi come up a lot in these lessons. I like that though, because it shows the importance of a value in an actual scripture story. This post contains affiliate links. This means that if a purchase is made after you click on some of the links below then I get a very small commission. Please know that I would NEVER recommend anything that I don't entirely love.